Zach Callison might be best known as the voice behind Steven on Cartoon Network's Steven Universe, but he is also on the brink of a promising singing career. 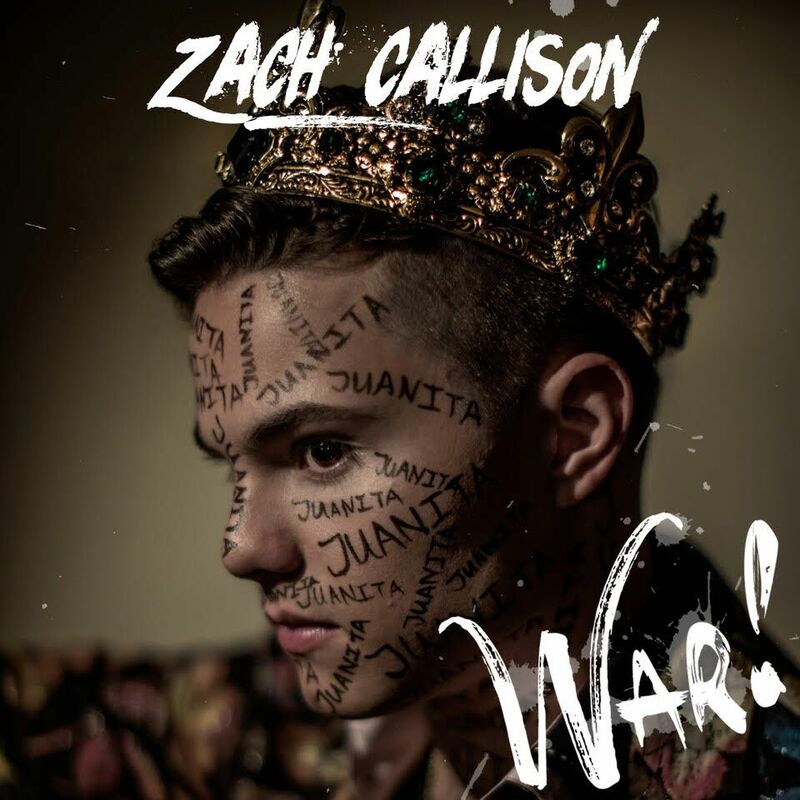 The multi-talented entertainer just released his debut single "War! ", an intense revenge track that overflows with attitude, rich horns, and a touch of hip-hop flavor. Learn more about "War!" and the artist behind the song in the questionnaire-style interview below. Here's the scoop on my new single "War! ": "War!" is total, scorched earth revenge on someone I used to know...codename "Juanita". Since she's a singer as well, I knew that post-feud she'd be writing her own version of events into new songs, and I wanted to be the first to call her out for what went down. The Juanita I know was picking fights and slacking on cutting her album, so I just wrote what I knew. It's aggressive and carries a very specific, pointed message; I loved the concept of two estranged artists going to war through their work, knowing that their history will be written by the victor. I'm excited about the release because ...it's my first release ever, and my fans that follow me from my acting work are finally getting to hear shades of my uncensored personality...as well as what my style is like when I'm heading up the project. I hope listeners ...dig into my lyrics deep enough to find the bread crumb trails I've left all over the upcoming album. I write my songs for people who are music-minded, but I write my lyrics for people like me who get giddy when they find new connections in the narrative between all the tracks of a record. I find my greatest inspiration in ...my city. The entrepreneurial spirit is alive in LA like nowhere else, and it's Mecca for that unique breed of art-venture capitalists that combine business hustle with their expressive spirit. When I need to get in the lab and make something, all I have to do is leave the house for a little while to find creative gold; small shows, raves, Mulholland night drives, and crack-of-dawn diner runs all serve the same purpose when you're fully plugged into the soul of this city. I love performing live because ...I can thrash around like a delirious fool and people enjoy it! My sound is rock-inspired and heavily drum reliant, and I just couldn't have it any other way for my live show. As a kid I did everything from singer-songwriter style piano/vocal performances, to pop shows where I sang covers over tracks...those have their place for some, but I don't get the same feeling of liberation and engagement with my people in the pit like I do when I'm with my band. One day I hope to ...take a break from it all, just to cut an album somewhere abroad. It's tough dividing my time up between acting, voice acting, music and everything else. I want to have three to six months out of a year where I can get a lockout in Tokyo or Milan and put a project under the microscope of my full attention. "War!" is the first single to be released from Callison's upcoming debut EP A Picture Perfect Hollywood Heartbreak, which is scheduled to drop later this year.